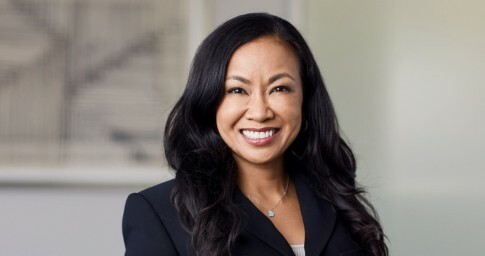 Angela Bongat is a dedicated defense litigator who seeks client-centered solutions. Angela has nearly 15 years of experience defending clients in a wide range of matters, from general civil litigation and product liability to personal injury and insurance coverage. She represents clients in several industries, including automotive manufacturers, medical and pharmaceutical companies, regional grocery retailers and apartment complex owners. Angela also uses her litigation experience to counsel trucking and trailer manufacturers on issues that may arise with their consumers. For every case, Angela takes a client-centered approach. Her many years in practice have honed her skills and insights so she can find the best solution tailored to a client’s unique circumstances and business environment. Whether it’s taking a case to court or seeking a favorable settlement, Angela provides informed counsel and strategic advice to guide her clients through complex situations. While still in law school, Angela completed a rigorous internship with the Harris County District Attorney’s Office in the Child Abuse Division. That time gave her significant insight into how criminal prosecutors put together their cases — knowledge she continues to apply daily on behalf of her clients. Angela is also a graduate of the International Association of Defense Counsel’s Trial Academy conducted at Stanford Law School. When she is not working, Angela enjoys spending time with her family and performing as a soprano with the Houston Symphony Chorus. She is an active supporter of local animal rescue groups and the Texas Humane Legislation Network, a charitable organization committed to ending animal cruelty. Investigating and defending an apartment complex in a personal injury matter involving allegations that a minor plaintiff sustained a traumatic brain injury. Defending a pharmaceutical company as local counsel in product liability cases involving allegedly defective pelvic mesh devices. Obtaining a motion summary judgment for a steel manufacturing company against a plaintiff who was allegedly injured at its premises. Obtaining a favorable verdict in a bench trial for an employer in a wrongful termination case. Defending numerous personal injury claims for a Fortune 100 beverage company. Defending a rope mooring distributor in a commercial transaction claim arising from damages related to Hurricane Ike. Defending an apartment complex in a wrongful death claim involving allegations that a teenager’s death was caused by the actions of the complex’s courtesy officer. Investigating and defending a security company in a wrongful death action.